At the start of your turn, Blighted Alit deals 2 damage to you. 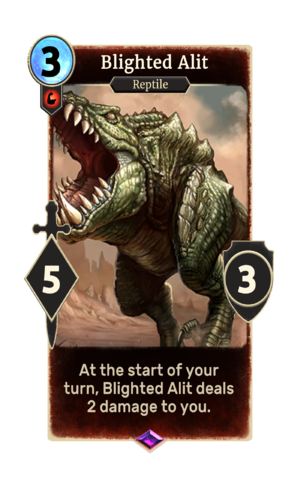 Blighted Alit is an epic Strength creature card. It is part of the Core Set. Alit first appeared in Morrowind, and later reappeared in ESO.